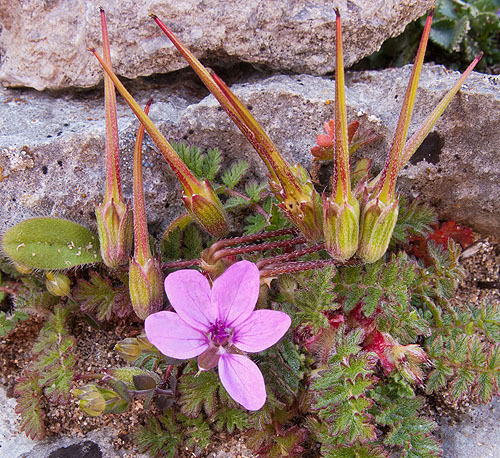 Common Storksbill "Erodium cicutarium "
It favours dry, grassy places and wasteland, especially on the coast - established dunes (as here). The leaves are divided into paired leaflets, which are themselves deeply lobed. The flowers, are rose-pink or purplish with a fruit with an elongated 'beak' - the 'stork's bill' - which splits into five segments when ripe.